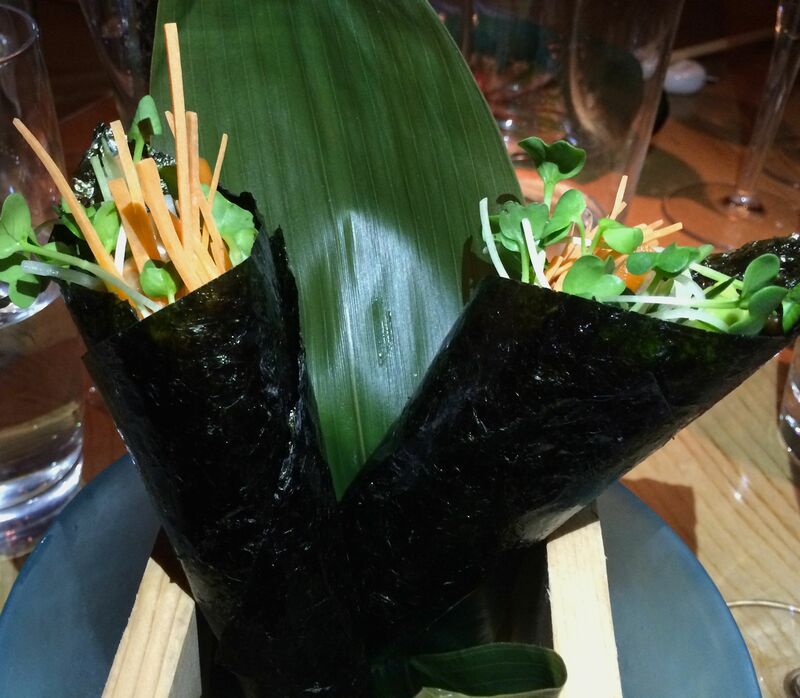 NOBU- the queen of Japanese dining in London; Is it vegan? In the trending quest to learn more about vegan food and lifestyle, this is probably the most common phrase around: Is it vegan? 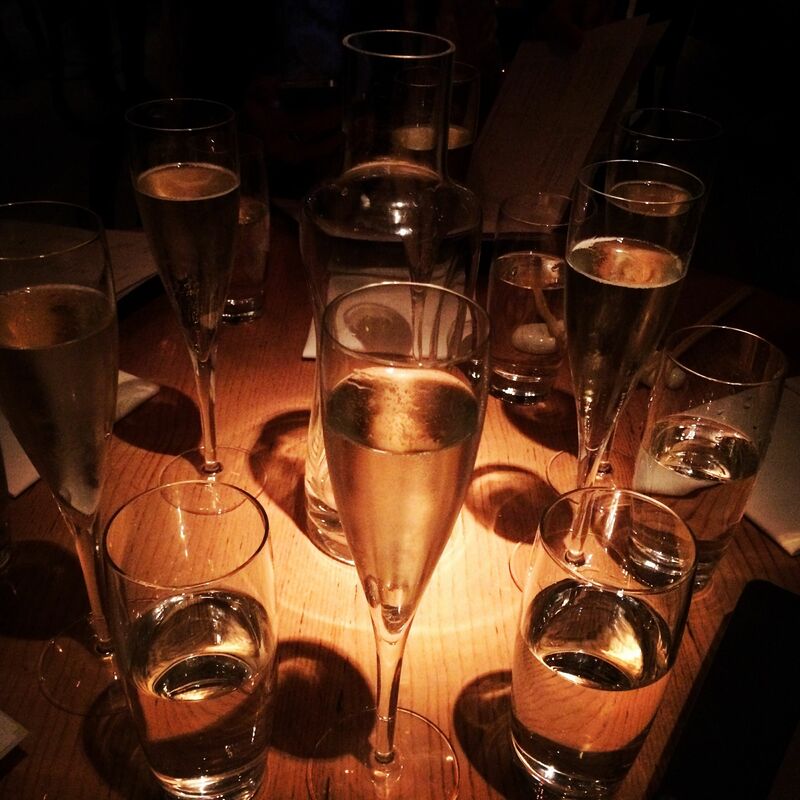 Girls night out at NOBU! I do love the consideration, but as a vegan it’s pretty easy to eat at most Japanese and Asian venues. In New York, my favorite vegan restaurants are Korean. Asian influenced cuisine will generally always have tofu so one doesn’t have to resort to a dish of dry potatoes over iceberg lettuce. 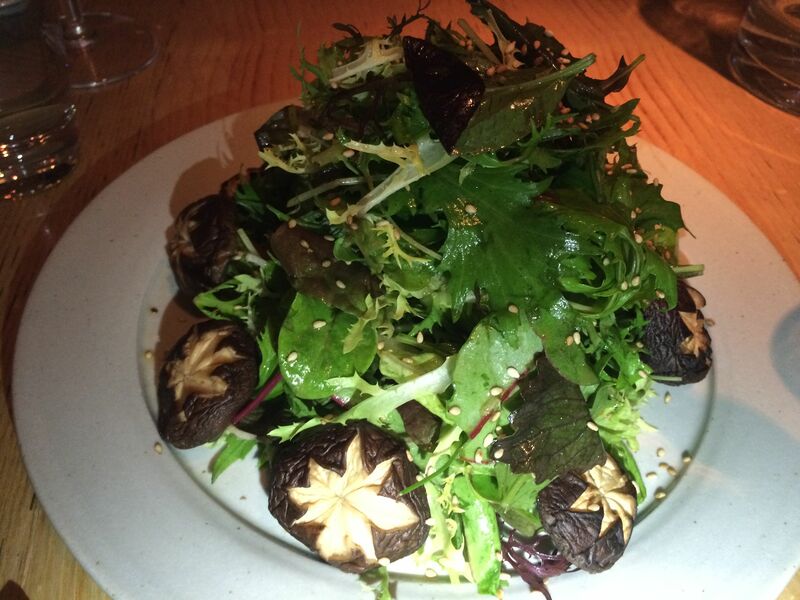 At the end of the evening upon exiting, I noticed that Nobu had a “Vegetable Dishes at Nobu” cookbook. This makes total sense in retrospect, because their menu was one of the most vegetarian friendly ones that I have seen in quite some time. The options were almost endless. I must add here that I love when restaurants use “v” or “ve” for vegan. It makes it easy for both of us and we don’t have to play is it vegan or the replacement game . I was impressed to say the least at the vegetarian entrees. I knew at first glance I was having the tofu steak so we go from there. 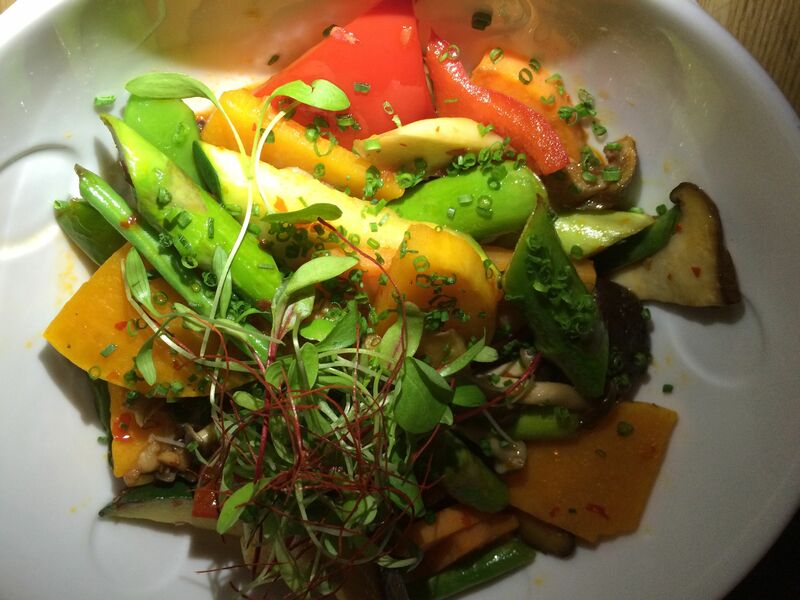 I was delighted to sit next to a new vegetarian friend and have the pleasure of sharing appetizers, salads and entrees. 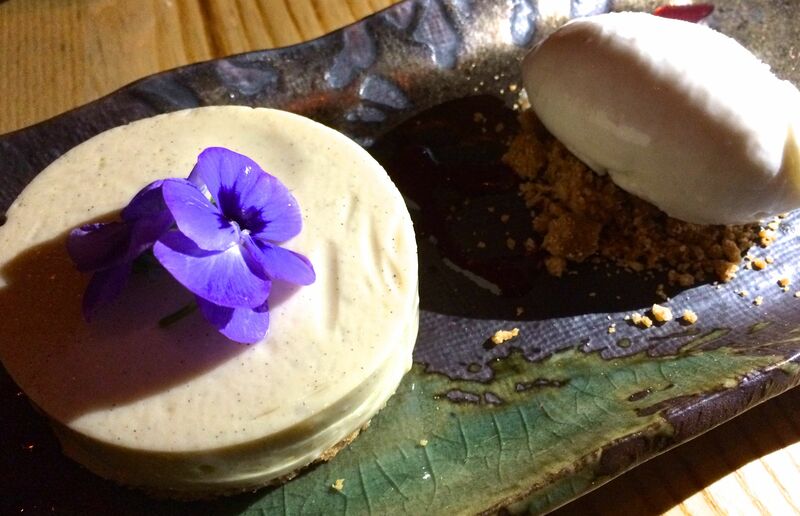 As I sit here writing, it’s apparent that we had many dishes- and all amazing! Just as a side note, although it didn’t happen tonight- I am quite often asked if I eat fish. That’s cute but not really. As a good (non vegetarian) friend once said to me in my shrimp loving days – “shrimps have Mommies & Daddies too”. Seafood and especially shellfish was probably among my all time favorites. I don’t really look back now due to the fact that most seafood, although healthy in some regards, suffer from pollution and toxins pretty heavily. You have to really know your stuff to get through the fish maze. Is it farmed? Is it genetically engineered? Where is it on the food chain? Which oceans does it come from? What’s the mercury levels? Oil spills.. radiation etc.? I do believe in the anti-inflammatory benefits of cold water fish for non-vegans but oh the questions that you need to research- good luck! It’s almost harder than is it vegan and simply put by the way, it’s not vegan because fish have a central nervous system. Continuing on.. dairy means butter, cheese, milk and derivatives like whey etc. People sometimes think eggs are included with the dairy discussion but technically they aren’t. If you are afraid to use the V word or you are somewhere where people don’t fully understand it’s depth, then it’s best to ask for dairy free, milk free, egg free and pretend you have allergies – that is, if you aren’t in the mood for a food breakdown of animal ingredient conversation. 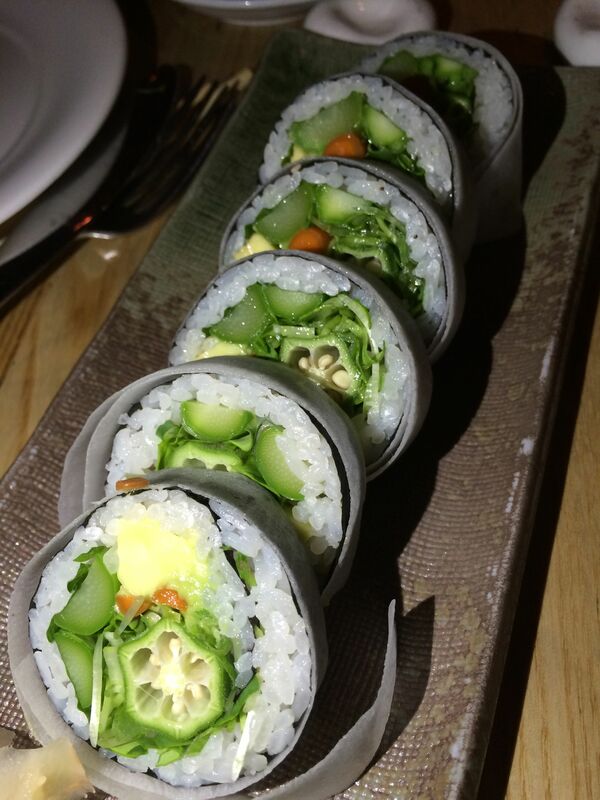 At Nobu, they know what vegan means. We order away asking if the appetizers and such are vegan friendly. I believe everything was but there were bottles of champagne flowing so don’t quote me. We decided on vegetable hand rolls, okra vegetable maki, mini tacos, a gorgeous shitake mushroom salad and the the outstanding tofu steak with a side of beautiful roasted vegetables. Each dish was amazing, again, my favorite being the tofu steak. 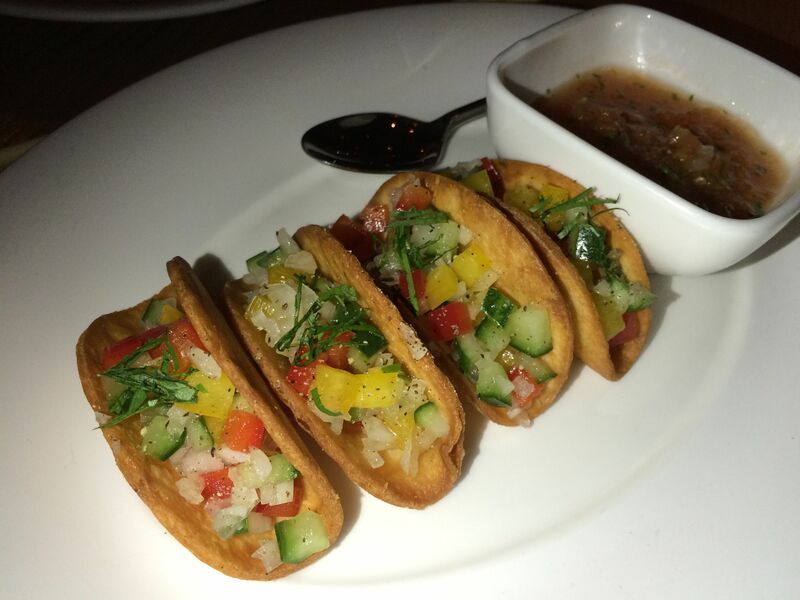 It was dark in Nobu, so of course the photographer in me had to come out so I would get great food shots. I guess that’s an advantage of having two phones. One for stage lighting and one for the photo opt. It was wonderful company all night as we laughed and had fun. At dessert time that we noticed a pitcher of table water with a stick in it. What was it? I had to google away and figure it out. 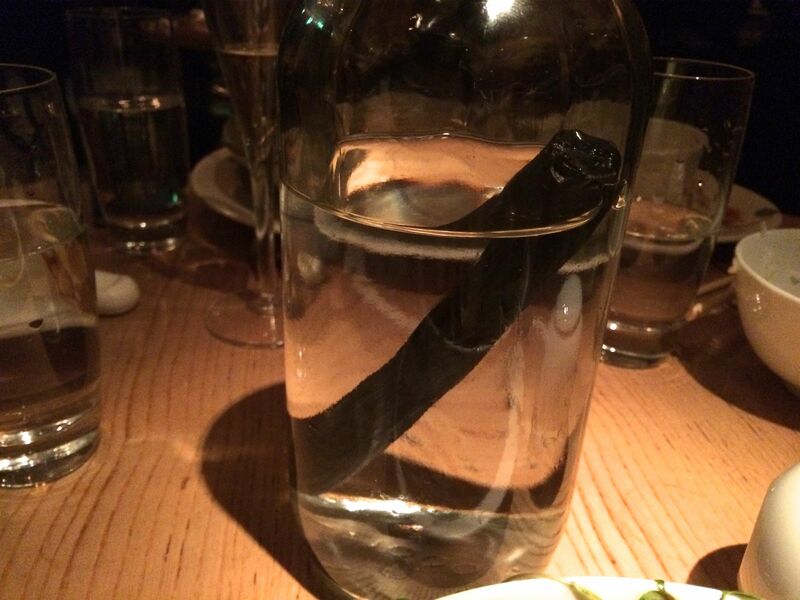 It was a water filtration carbon stick. Now of course I want one. After being back home for a few days, I decide to research it further to be sure it’s vegan. You never know- I hear about filtration systems all the time that aren’t vegan like in the processing of cane sugar and beverages like the wildly famous Guinness beer. Basically, after a few YouTube videos, I learned that the carbon stick comes from charcoal and you can even make your own if you wanted to. Fascinating! This is good to know if I am ever traveling somewhere where the water is not purified. The dessert by the way was the perfect vegan icing to a wonderful dinner. I think I was happy just to see the option on the menu. It’s the little things in life that excite me. and if you want to take it a step further: you can make your own charcoal too! Spaghetti squash – the encore!